Now you can text your pictures or questions to your swimming pool contractor. Atlanta's Best rated in-ground swimming pool contractor and vinyl pool liner replacement company. First of all, Swimming pool contractor Merodynamic Pools builds about seventy five new in-ground pools and we install about three hundred vinyl pool liners every year. Further more, the result of our experience is reflected in every design, construction and renovation of all our swimming pool projects. We design in-ground swimming pools, replace vinyl in-ground pool liners, renovate swimming pools and install pool safety covers. Also, we have the highest quality control standard for our new swimming pools, pool liners, pool liner replacements and pool safety cover installation procedures. Consequently, hiring the wrong swimming pool contractor can become a bad experience. Therefore, let us help you design, build your new pool, renovate your existing pool or replace your pool liner. We want to show you how we have earned our companies five star rating. Our customer is king policy has set a goal that we hope will exceed your expectations. Furthermore, we are an award winning in ground swimming pool contractor. We maintain five star customer service and a great reputation. Usually, our pools take two weeks to install. commitment. However, our goal is not to build the most swimming pools but to build the best pools. Finally, we install swimming pools all over Atlanta Ga. Therefore, you should call today. First of all, we believe that our vinyl pool liners and our pool liner replacement process is unmatched. Our professional in-ground pool liner replacement department has over 4 decades of experience. This eliminates a margin for error. We guarantee that your swimming pool liner will fit properly. Let us install your next in-ground pool liner. Most importantly, our swimming pool safety covers help prevent accidental drownings. Besides, pool safety covers will protect your family, pets and enable an easy spring cleanup. Also, we offer several grades of pool safety covers. Get your free pool safety cover quote today! We take pride in keeping our clients safe and giving you peace of mind. It's time to enjoy a hot tub from Atlanta's best hot tub spa dealers? Your new hot tub will provide years of therapy and relaxation. Above all, there are so many colors, sizes and seating arrangements to choose from. You are sure to find your dream spa. We are a faith based in-ground swimming pool contractor that services the Atlanta Georgia area. With a five star rating on sites like Google, the B.B.B., Houzz, Yellow pages and several other reputable companies, why wouldn't you choose us. Glory to God. We will always do what is right and just. As a result, we are an award winning swimming pool contractor this is recognized for our outstanding in ground pool installations, along with vinyl liner replacements and swimming pool renovations. Our goal is to satisfy you. Also, to exceed your expectations. Furthermore, to complete our projects in a timely manner with astounding results. Our inground swimming pool liner replacement jobs are completed with these steps. First, We will will drain your swimming pool and remove any debris. second, We will take off your existing faceplates that seal your old swimming pool liner. Thrird, we will remove and dispose of your old swimming pool liner, check your structural walls for imperfections and check your existing pool liner track. Forth, We will patch imperfections in your existing pools floor. Additional charges may incur if your existing pool floor has excessive repair (washed out areas, caved/settled or previously finished poorly) or if you hire us to install a brand new floor. Next we will install all new gaskets to assure that your new swimming pool liner has a water tight seal. Then, we will install wall foam as needed over your pools structural walls and anywhere that your vinyl pool liner goes over steps, benches or sundecks. We will then install your custom measured swimming pool liner. We will shift the pool liner until we have achieved our best fit. Then we put pool liner vacuums in place so it stays wrinkle free and seated during the filling process. Once your pool water level reaches about 4 inches in the shallow end we will remove our swimming pool liner vacuums. Your swimming pool will then receive new skimmer faceplates & gaskets, new return faceplates & gaskets, new light gaskets, new stair gaskets and new bottom drain(s) and gaskets. We guarantee our inground swimming pool liner replacement procedures for (1) year. Call today for an appointment to meet with one of our inground swimming pool liner and remodeling experts. Our staff has over four decades of experience. Probably, more than any other swimming pool contractor in the state of Georgia. Our pool installation team along with our swimming pool liner installers will show you our experience. We are licensed and insured. Another reason to let us be your vinyl swimming pool contractor. A swimming pool contractor you can trust. To clarify, a relationship between you and your swimming pool contractor should be based on trust and confidence. In addition, our reputation in the swimming pool industry speaks for itself. An in-ground vinyl swimming pool liner must be made from the best material and then properly installed. Also, every swimming pool liner must be measured precisely so your new vinyl swimming pool liner will fit properly. A proper fit means a longer life. Furthermore, our pools and our liners are built and designed to stand the test of time. We rely on our manufacturers to only provide the best product. Click here to read our online reviews. Another reason to make us your swimming pool contractor is our outstanding reviews. Above all, our customer is king policy and our unmatched workmanship will show you how we maintain our five star swimming pool industry rating. Whether you need a new in-ground pool or your swimming pool liner replaced, we have you covered. It was great dealing with Merodynamic Pools. They are trustworthy and the quality of their work was top notch! 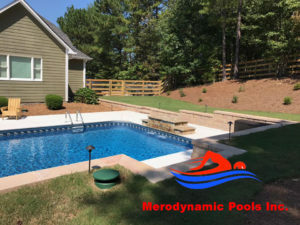 I highly recommend Merodynamic Pools! 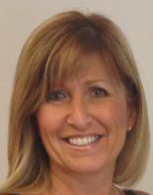 Patty Baker "Clerk of Cherokee County"
Finally, we install pools and will replace your swimming pool liner in the following areas. As an in-ground swimming pool contractor, vinyl pool liner replacement company and a pool safety cover installer, we partner with the nations best manufacturers. Check out our pool industry partners below.